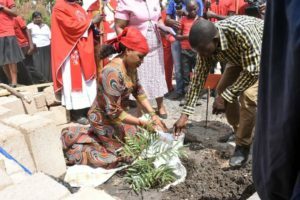 Acting Regional Commissioner Yasinta Mboneko planting the tree during the reformation ceremonies. 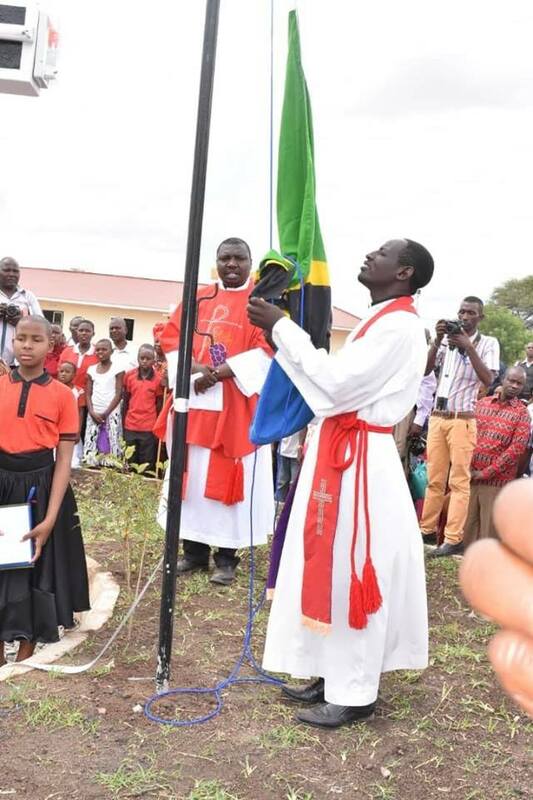 The National flag put by Rev. Richard Bikonya during the ceremonies. 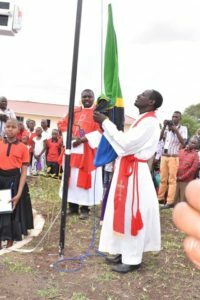 Reformation Day was celebrated in many ways in the SELVD. In the previous post we discussed the opening of the new headquarters now located at Bushushu. 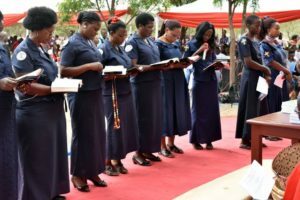 The joyous celebration continued with installation of a new district pastor, consecration of two deaconesses and confirmation of students. 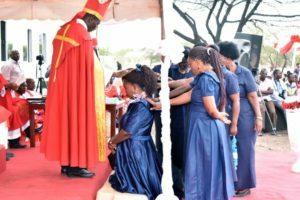 Bishop consecrating Esther Mangesho to be a deaconess. 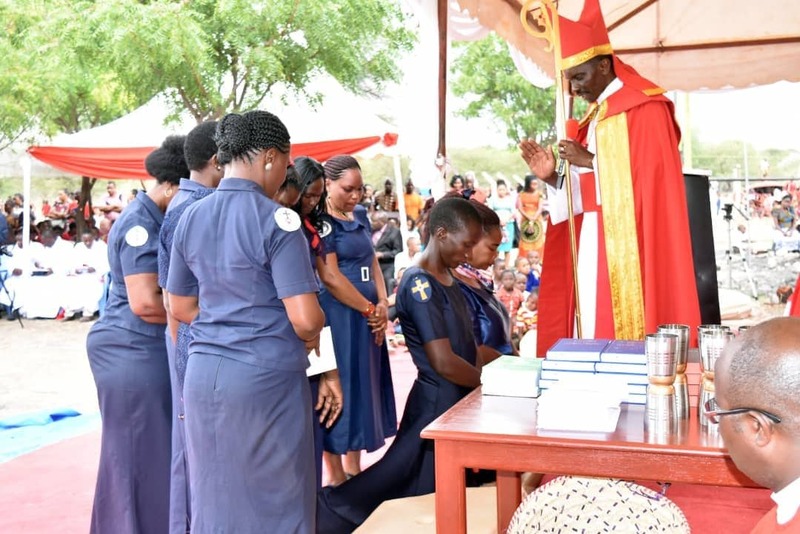 Other Deaconesses of South East of Lake Victoria Diocese praying for her. 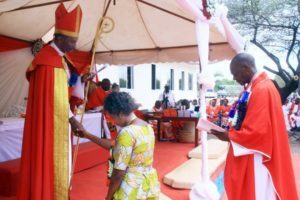 Festa Brown and Esther Mangesho receives blessings from Bishop Dr. Emmanuel Makala. They both were consecrated as deaconesses. 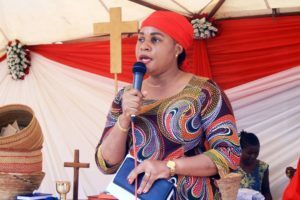 Sarah Maganga the wife to Rev. 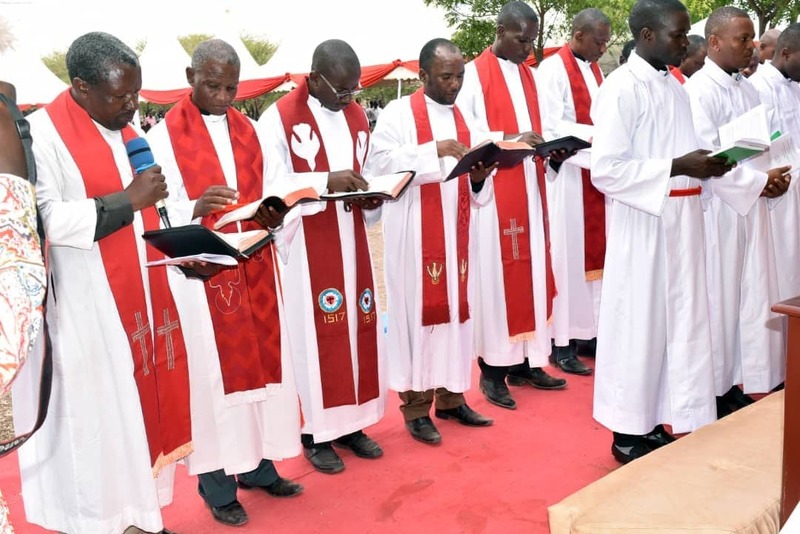 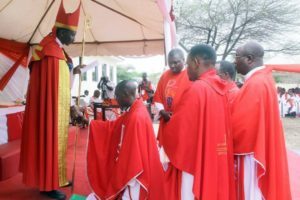 Jackson Maganga receives blessings for his husband’s new responsibilities. Rev. 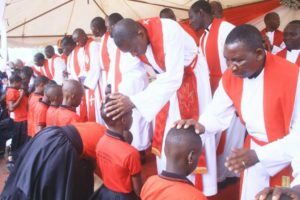 Jackson Maganga receives blessings from Bishop for being the District Pastor in Eastern District, Maswa. Acting Regional Commissioner Hon. Yasinta Mboneko addressing the congregants during the reformation ceremonies.